If there's a place where a cider revival makes sense, New York is it. The state is the second-largest apple-producing region next to Washington State. According to the New York Apple Association, 53 percent of the apples here are sold as whole fruit, while 47 percent create juices, cider, sauces and sliced apples. Alexandria Fisk, co-owner of Descendant Cider, said New York cider is still figuring out "who it is and what it wants to be." "Even 10 years ago if people knew cider they knew sweet hard cider," Fisk said. "You couldn't get much of the type of cider we enjoyed in the U.K. In the U.K. it's very dry and very tannic." Cider-making dates back to the English colonists, who drank hard cider because they mistrusted the new world's water supply. Cider apples were among the first crops planted in New England, and it became the working-class drink in America. It was even used in lieu of cash for payments. Cider making also led to the creation of apple cider vinegar, which required longer fermentation and became important for preserving fruits and vegetables. Prohibition brought a halt in the cider industry, and it's recently seen a long overdue renaissance. In 2013, New York passed the Farm Cidery bill, encouraging farms to create cideries. The cider makers would receive tax breaks and benefits for using New York fruit. The name 'Descendant Ciders' reflects cider's history, disappearance and resurgence. Fisk and her husband, Jahil Maplestone, bring apples from upstate to a facility in Queens, where they ferment the juice, then hand-bottle it or put it into kegs. The company is one year old and was the first cidery to be located in the five boroughs. The overall feeling of cider industry folks is that the more cider that's out there, the better it is for everyone, Fisk said. The passing of the law has helped cider makers experiment with new types of cider. "There's a lot of breadth and depth available so people can play and enjoy," Fisk said. "There's a lot of people experimenting [with] taking it in a more beer-centric tangent." The supportive feeling was obvious at a recent "cider salon" event held at Jimmy’s No. 43 during Cider Week in NYC. Cider makers old and new, from both the East Coast and West Coast, along with cider writers and advocates, met to discuss trends, issues and growth within the cider scene. "We all believe the more people who think of cider as a real category, the more we will all prosper," Fisk said. "There are so many small competitors, but it's not competitive. It's the opposite of that." Andy Brennan agrees. His cidery, Aaron Burr Cidery in Wurtsboro, NY, is aiming to recreate the ciders drank by those early settlers in America. The industry is looking good, he said. "What we want more than anything is more producers and more farms involved. We hope to grow the current number of producers fourfold by 2020," he said. "I would like to see a thousand small cider mills in towns across New York in 10 years. If your mill is so large that a town 15 miles away does not need its own mill, then you are too big." He points out that customers should understand the price tag associated with buying from small cider makers, again emphasizing that cider is like wine. 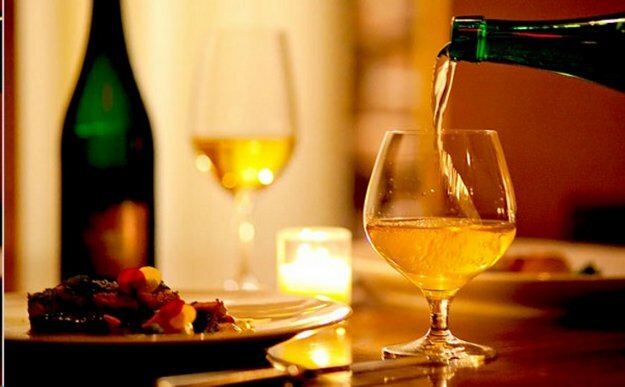 With subtle nuances like wine, cider is fun to explore on its own and pair with food. A wide range of ciders were served at the cider salon. 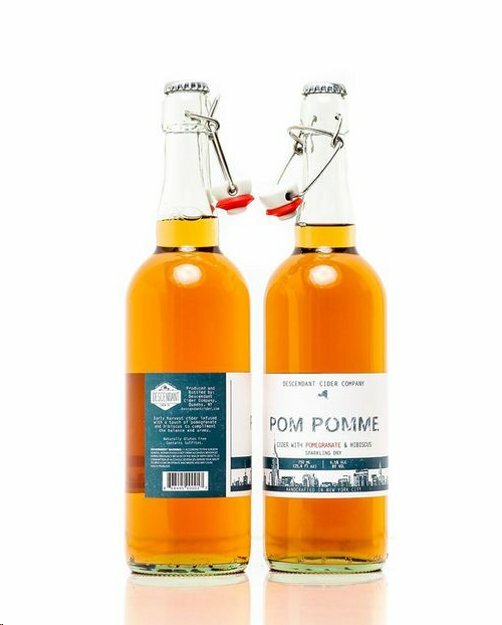 More traditional hits included Homestead East Branch cider from Aaron Burr Cidery and Pippin cider from West County Cider, which has been making cider in Massachusetts since 1984. Then there was a whiskey barrel-aged cider from Descendant Ciders and some funky renditions from West Coast company Reverend Nat’s Hard Cider. With names like ‘Hallelujah Hopricot’ made using Cascade hops and Saison Dupont yeast, the reverend turned it up a notch. His ‘Revival Hard Apple’ cider also uses saison yeast, which creates a structure slightly similar to beer. During one of the panels, a man arrived at the door lugging a sack of apples behind him. 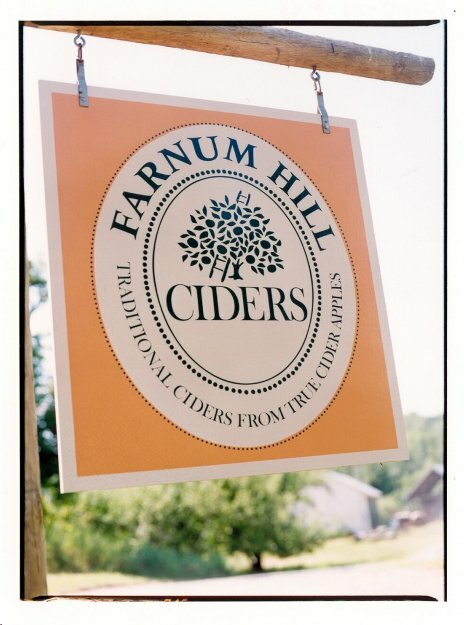 His name is Steve Wood, co-owner of Farnum Hill Ciders in New Hampshire. He brought cider apples for the crowd to try, letting everyone experience firsthand the difference between eating apples and cider apples. The tough-skinned, oddly shaped little fruits were so bitter they were pretty much inedible. "Cider apples" are used for their juice, containing a lot of sugar to provoke fermentation and also certain acid and tannin content. While outsiders may have wondered why a crazy man was carrying a sack of apples in the heart of Manhattan, to cider insiders, Wood is a cult figure. He has been making cider since 1984 at Poverty Lane Orchards on land that he has worked on since he was 11 years old. Before he began his panel on apple varieties, he looked out into the room. "It's so reassuring to have people know what cider can be," he said. Beth Kaiserman is Highbrow Magazine's chief food critic.